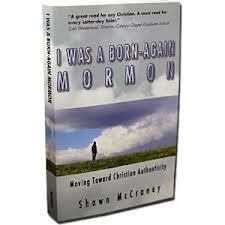 I am a supporter of Shawn McCraney and the Born Again Mormon movement. Both have great promise and tremendous new movement challenges all which are fully evident in this book. It’s my hope that by offering an honest, balanced, and relatively objective review of this book that I can play some small role in seeing those problems diminish and the potential fully emerge. First let me state that the book is, well written and I enjoyed reading it. I did NOT agree with everything that Shawn said but the author makes a compelling case and I learned a lot about Mormon Theology and Culture. Shawn McCraney writes and communicates well and every Mormon Studies Scholar would do well to consider adding this book to their book bag. However the book is marred by many of the problems of self-published books. Let’s start with the interior layout and design – simply put, it’s ugly. The top and bottom margins are too large and the side and gutter margins are too small making the pages look and read erratically. The type is not top/bottom justified and often features hideous page break errors (see the bottom of page 123 where the italicized header for the body text that follows on page 124 has been orphaned – a mistake that a professional book designer would never have made!). Shawn is fond of long, verbose notes, which means that they should be at the END of the chapter or book so as to not disrupt the flow of the main narrative – which they do as footnotes – constantly. To make matters worse these short story length footnotes regularly trail across the bottom of multiple pages and occasionally consume entire narrative pages! The most extreme example can be found on pages 214 and 243 which are literally nothing BUT footnote! The typesetting is just amateurish – using double spacing between paragraphs – as well as items in lists and tables. This is not only ugly but it unnecessarily adds pages to the book driving the unit cost up. Overall, this book has more the look of a college term paper than a retail product. But that’s not all. There is no Table of Contents, no index, no glossary of terms, and most puzzling of all, no chapter breaks (he annoyingly refers to what others would call “sections”, “chapters” throughout the book). In fact, the reader might be surprised that the First Edition of this work didn’t even have page numbers! One can only hope that in the next edition the book is handled over to a book designer for a major rework. In summary, in it’s current incarnation this book is ugly, it’s hard on the eyes, and often fragmented in flow by heavy, wordy footnoting. I believe that this decision would lead to three reasonably sized books (each around 120-pages) that are easily read and digested rather than a behemoth 3-course feast that overwhelms the reader’s mind and patience. Further, with this format Shawn could expand on the “stickier” concepts in the book which might lead to a great understanding of his mission, calling, theology, and tactics. Perhaps this might result in diluting the criticism that the current incarnation of this work has garnered from well meaning Christians who use this book as their sole reference for the Born Again Mormon movement. Those familiar with Shawn’s “Heart of the Matter” television show will be right at home with this book. Shawn writes pretty much as he speaks – but often with greater articulation and deeper thought. If you’ve digested all the archived shows from the web (well over 100-hours as this review was being written) you’ve already digested much of this book. However, you should probably still read the book because the “why’s” behind much of what Shawn says sand does on the TV show can be found here – and unlike the show they’re fully footnoted and source referenced too! I found value in the entire book but clearly the most powerful part of the book – and the one that I suspect is more memorable for most Mormon readers – is the first section “Born Again” which contains Shawn’s Exit Story from the LDS Church and Born Again testimony. Shawn’s story is moving AND, surprisingly, typical of many other ExMormon stories. This brings up a key point that must be made: A truer title for Shawn’s book and movement would be “Born Again New Order Mormon” because that’s REALLY what Shawn was – a New Order Mormon – before he had his Born Again experience. This might seem too fine or nuanced a point for many of Shawn’s supporters and critics but it is the truth. But this is an important, nuanced point given the fact that Shawn and the Born Again Mormon movement could be the solution to a BIG, BIG, BIG problem for (so-called) “Anti-Mormon” ministries. That problem is the fact that the majority of New Order Mormons – the most common estimate is 60% – become Agnostic or Atheist after leaving the LDS Church. By balancing II Corinthians 16:14-18 with I Corinthians 9:19-23 the Born Again Mormon approach appears to transition more ExMormons to a saving faith in Jesus Christ than traditional “Anti-Mormon” approaches have. I know that the above statement will no doubt grate against those who prefer the traditional “Shock and Awe” approach to delivering Mormons from the jaws of the LDS Church but we must be honest – Shawn is finding success in an area where our “Shock and Awe” techniques have not – a 60% FAILURE rate is nothing to be proud of! Clearly we have been doing something WRONG not RIGHT and we need to be humble enough to admit it. Shawn McCraney is onto something here and I believe that God is trying to show us something through Shawn as imperfect the message and messenger might be. I also found Shawn’s deconstruction of the Book of Mormon through the 19th Century lens of Joseph Smith family history, as well as excellent context setting of the “Burned Over District” of the day, enlightening and a worthy addition to the ever growing body of Mormon History analysis and interpretation. But easily the most controversial and most frequently criticized section of the book is the last section starting with “Practicum” and ending with the Appendices. This is where Shawn presents the case that a Mormon can become Born Again and remain in the LDS Church until they feel lead by God to leave. This is where the natural tension between II Corinthians 16:14-18 and I Corinthians 9:19-23 is highest and where, in hindsight, Shawn would have wise to develop a fuller theological framework for the major paradigm shift that he has introduced to his widely mixed and diverse audience before he published a book, went on TV, and parachuted into the harsh religious battleground of the “Morridor” with his bold, brash demeanor and provocative new ideas. Instead I found the theological foundation that he presented in this book theologically immature, theoretical, idealistic, and with the exception of his life story, not really fleshed in the real world over time and over a broad sampling of Mormons. In the end this section is problematic and, and it could have been predicted that it would become chum for criticism of Shawn and the movement. In hindsight I wish that Shawn had slowed down and taken more time to fully develop the Born Again Mormon model and Theology before shooting it like a scud missile into the Morridor. This was a situation where time was on his side! 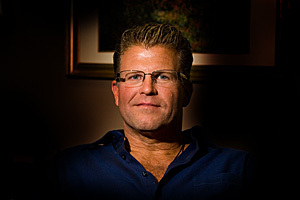 After all Shawn was voluntarily excommunicated from the LDS Church in 2003 yet after only two years he published a book and launched a Utah based television program. 5-years later he launched a Para-Church Bible Study and Fellowship. All this while juggling a secular “day job”, marriage, and family in Southern California! Further, when we consider that Paul was prepared for 14-years from the Damascus road experience (Acts 9:1-31) until his first missionary journey (starting in Acts 13), and Jesus was “prepared” for 30-years before he began His public ministry, the lack of wisdom of this “quick to market” ministry decision comes into focus. Personally, after reading this book (as well as seeing some of Shawn’s lack of self-control on the TV Show) my biggest concern is that the ministry and movement may eventually implode, dissipate or be marred by some type of scandal. Again, this is just an outsider’s perspective based on nothing but observing the ministry over time and reading this book. That’s why I regularly hope and pray that Shawn and his staff is accountable to older, wiser “battle proven” Morridor Christian Ministers and stays there! As it is, I consider the infant Born Again Mormon movement to be a rather fragile thing that could fracture at any time if it isn’t stewarded wisely and patiently. As this review is being written (October 2008) I feel that the movement is at a juncture and could go “bang” or “bust” depending on a great number of internal, external, known and unknown dynamics. But either way watching the Born Again Mormon movement grow and mature is certainly proving to be a fascinating chapter of modern Church History. Were not so much at stake, I would even go so far as to say that it’s good “theater” or a wonderful case study for future ministries. As I said at the beginning of this review this book demonstrates both the potential and the problems of the Born Again Mormon movement. Shawn has been criticized for being strong willed and prone to not listen to wisdom and experience. The book’s poor design and editorial decision appear to be evidence of this. On the TV show when he explained that the title of the book had been changed to, “I WAS A Born Again Mormon” and page numbers were added his displeasure was evident even though BOTH choices made this latest edition a far better book than the first edition was! The overwhelming size and content of the book is evidence of another – perhaps the biggest – problem that I see with the movement which is: Too much, too fast, too soon and far, far, far too aggressive. Were I on the Born Again Mormon advisory board my biggest piece of advice would be this: SLOW DOWN! This is a ministry that got traction quickly, gained speed, and never slowed down. Well, in my opinion, it needs to. That’s because I see symptoms that the movement has overwhelmed the slow moving, conservative, and resistant to change Morridor creating unnecessary friction, tension, and anger worldwide (when it comes to Mormonism if you threaten Salt Lake City you threaten the entire Mormon Principality – it’s like attacking the Queen Bee in a hive). In my opinion much of the criticism that this movement has suffered has been because in it’s haste it unintentionally runs over people and once they get up they act out their anger, hurt and frustration via very public, often unreasonably harsh and “over the top” criticism. I think that if the movement would start moving in a slower, more deliberate, more organic, less forced manner these shrill voices will begin diminish over time AND the fruit will slowly mature as they start to RESPOND rather than REACT to the paradigm shift that Shawn and his movement have introduced. Yes, opportunity does indeed knock BUT if you’ve got something that it wants it will wait around or come back later! In summary, my advice (for what it’s worth) is slow down, be patient, be strategic and think multi-generationally rather than errantly unBiblically, tactically and impulsively. Resist the temptation (though it can be hard) to think, “If it’s to be or not to be, it’s up to me!” No, friends it’s up to God, it’s God’s work not ours. We’re stewards not owners. The last problem and most important thing to address is ,of course, the theological sticking points that the Born Again Mormon movement has introduced. I’m sure that some would disagree with this but the biggest problem that I see with the Born Again Mormon movement is that the underlying theology wasn’t full formed before the book, TV show and movement was launched. And, as hard I have pushed back on the critics who have Bible thumped Shawn with II Corinthians 6:14-18 I will also admit that they make a valid point – just not to the extreme, unBiblical way that they present it. And while I Corinthians 9:19-23 is a good starting point for developing a comprehensive theological framework for the movement, by itself it’s simply inadequate. In the end, both sides are right, both sides are wrong, and both sides need to work their differences out in private rather than continuing their public “Bible Thumping”. However, I will address the critics directly when I say that your chronic disobedience relative to Matthew 18:15-17 discredits your case. Friends, by all means voice your concerns to Shawn but please do it Biblically (that means one-on-one and in private before going public) not carnally (that is, skipping the two “in private” steps and jumping straight to public denunciation and character assassination of Shawn). We will be far more inclined to listen to you if you act with integrity than if you don’t! And finally I would remind you that just because you disagree with your Brother in Christ that doesn’t necessarily mean that they’re in sin – consider John Wesley and Jonathan Edwards for example, or better yet, Paul and Barnabas (see Acts 15:36-41). Sometimes men of mutual good will DO disagree – nothing more, nothing less. And when they do, publicly tearing into the other party not only hinders your witness to the world but makes you look the fool – in public. Adhere to Matthew 18:15-17 and you will avoid both parties this embarrassment. So in the end – and after many, many, many words – is this is a book that I recommend that you read? Sure, but if you can wait for the next edition and hope that it’s better (and A LOT shorter). Another of my niggling complaints with the ministry are the cryptic and often inaccurate notes from the TV show that get posted on the web site but that kvetching is outside the scope of this review. These ideas and concepts really aren’t new at all. The Tanners remained in the LDS Church for at least 1-year after becoming Christians as did Ed Decker, James R. Spencer, Timothy Oliver and many other ExMormons who now minister to Mormons. Shawn simply attempted to build a formal, Theological framework around what is, in reality, very common. You could in fact say that all the above famous names were in fact “Born Again Mormons” during the time they remained in the LDS Church after having their Born Again experience. This long disciplining period is even more impacting when you consider that Paul was a disciple of one of the greatest Jewish Teachers of the day – Gamaliel (see Acts 5:33-39) before his conversion. However, he was STILL discipled for 14-years before being called to public ministry. 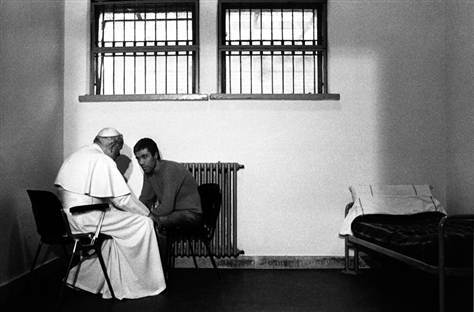 Then think about Jesus’s 30-years of preparation and the wisdom of long term disciplining becomes even more apparent. The book title was changed due to pressure and theological challenges from other ministries working with Mormons who felt that the prior title, “Born Again Mormon” was creating Theological confusion within both Mormonism and Christianity. Page numbers were added due to pressure from book reviewers who almost universally complained about book numbers in their reviews. To this reviewer it boogles the mind that someone would object to page numbering in ANY book, let alone, a 359-page monster of a book! Thinking “Multi-Generationally” typically means setting 25-100 year goals and then developing strategies and tactics around them. Multi-Generation thinking indicates that we realize that our Movement is God’s not ours and, like Father Abraham, we may not see God’s promises fulfilled through our movement within our lifetime. Originally published as a review on the Amazon website in 2008. As of the date of publication the Amazon page for this book no longer exists.